Energy drinks are very useful for athletes, working people, and those who are in constant need of the extra drive and vitality to perform and accomplish tasks. Energy drinks can help you during training sessions to finish intense workouts and they can also help you get through the day especially during a slow afternoon in the office. One energy drink that has made its name known all across the globe is Monster Energy. It was launched in April 2002 by Hansen Natural Company then, but now the company is called Monster Beverage Corporation. 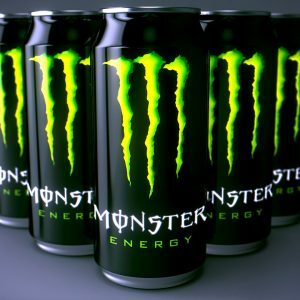 Monster Beverage Corporation is an American beverage company which manufactures not just energy drinks, but also natural soft drinks, as well as fruit drinks. Below are the latest Monster Energy prices. Monster Energy drink has become easily recognizable by many people because of its distinct logo, which is a large letter M that is vibrantly colored green on a field of black to make it stand out even more. But, it is not just an ordinary M because it is styled in a way that it implies the claws of a monster that is ripping through the can. The Monster Energy’s famous logo was designed by McLean Design, which is a strategic branding firm based in California. If you are wondering where you often see it, aside from the can, the log is always featured in major events that the company of Monster Energy sponsors. Some of the sporting events that Monster Energy supports are motocross, BMX, mountain biking, snowboarding, skateboarding, car racing, speedway, and eSports events. Starting the 2017 season, Monster also became the title sponsor of NASCAR’s top series. That is why, it has been renamed to Monster Energy NASCAR Cup Series. Aside from extreme sports, Monster Energy is also known to sponsor music events and promote music bands such as Asking Alexandria.De La Soul, Crown the Empire, Atreyu, Anthrax, The Cult as well as solo performers like Dave East, Courtney Cox, Cole Swindell, Deniro Farrar, and Dave Lombardo. Monster Energy can be bought from convenience stores, groceries, supermarkets, and almost anywhere you can buy beverages. It is very convenient and easily accessible, but keep in mind not to take too much because too much energy drink can be harmful as well. Limit your daily intake to a can, or a maximum of two, with several hours of interval. Also, it is not recommended for pregnant or nursing women, as well as for people who have caffeine sensitivity. A 16 ounce can of Monster Energy contains 160 mg of caffeine. There are several flavors of this energy drink, but for all, the ingredients include carbonated water, sucrose, glucose, citric acid, natural flavors, taurine, sodium citrate, color added, panax ginseng root extract, L-carnitine, caffeine, sorbic acid, benzoic acid, niacinamide, sodium chloride, glucuronolactone, inositol, guarana seed extract, pyridoxine hydrochloride, sucralose, riboflavin, maltodextrin, and cyanocobalamin. Monster Energy is the original flavor which is said to be the ideal combination of the right ingredients in the right proportion. It has a powerful punch, but also has a smooth and easy drinking flavor. Lo-Carb Monster Energy is the variant for people who need the extra energy but not the calories. This drink can give the big monster buzz that the original flavor can give, but with less calories and less carbohydrates. Monster Energy Absolutely Zero is the manufacturer’s answer to people’s requests for a Monster with zero calories. Making an energy drink with zero calories and zero sugar is not an easy task, but Monster got it right with a re-tooled energy blend and a new sweetener system. This drink is equally effective as the original Monster Energy because it helps fight fatigue, improve mental performance and focus, and even gives you enough motivation to work and play harder. Monster Assault Energy is distinguished by the cool camo pattern in its can. According to Monster, the Assault variant helps them feel fired up to fight bigger multinational companies which dominate the beverage business. This one is more on the design of the can, rather than the flavor. Monster Energy Import Super Premium was inspired by a drink in a re-sealable can that the manufacturer saw in Europe during the Spanish MotoGP. So, they brewed up their own version of super premium and imported Monster which has the same great taste, same winning formula, and same big buzz. The only difference is the resealable can. Ubermonster Energy Brew is the ultimate energy brew from Monster, as inspired by the German word Uber, which means superior, above the norm, or the ultimate. 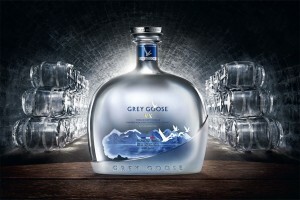 The production of this variant uses proprietary German brewing technology, which converts malt sugar into organic acids. The result is a non-alcoholic, bio-activated brew that has a clean and crisp taste.